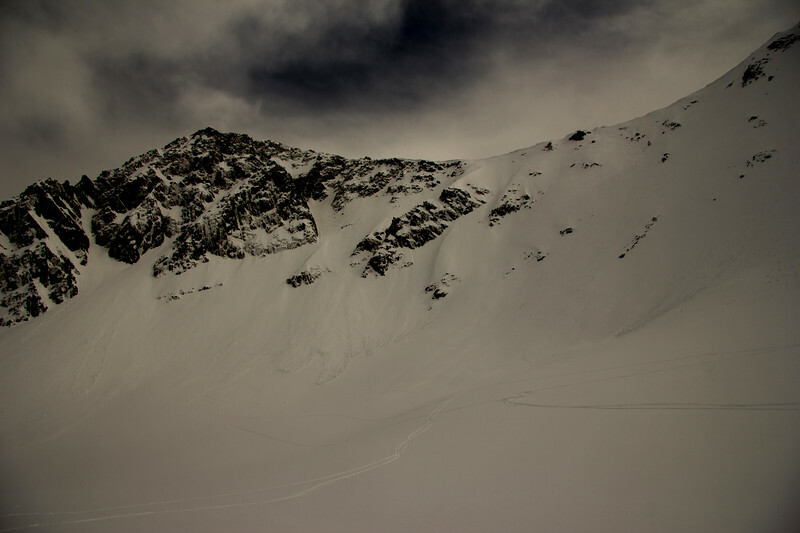 Backcountry skiing the Pfeifferhorn. 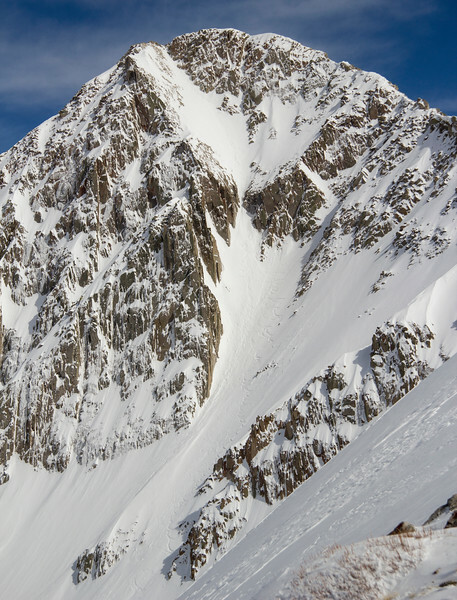 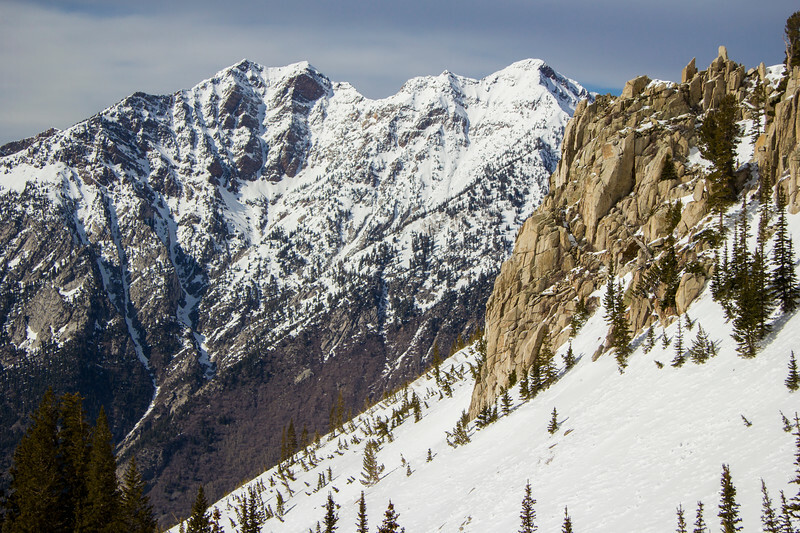 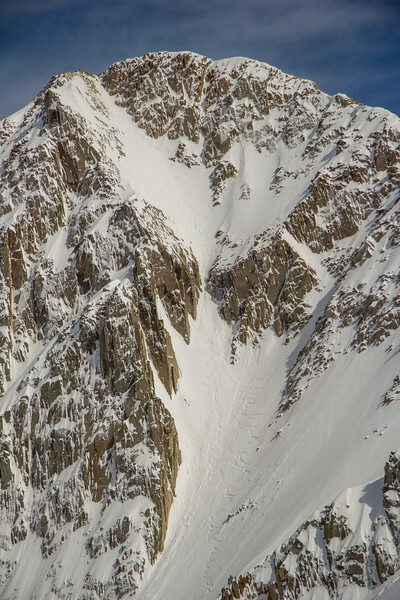 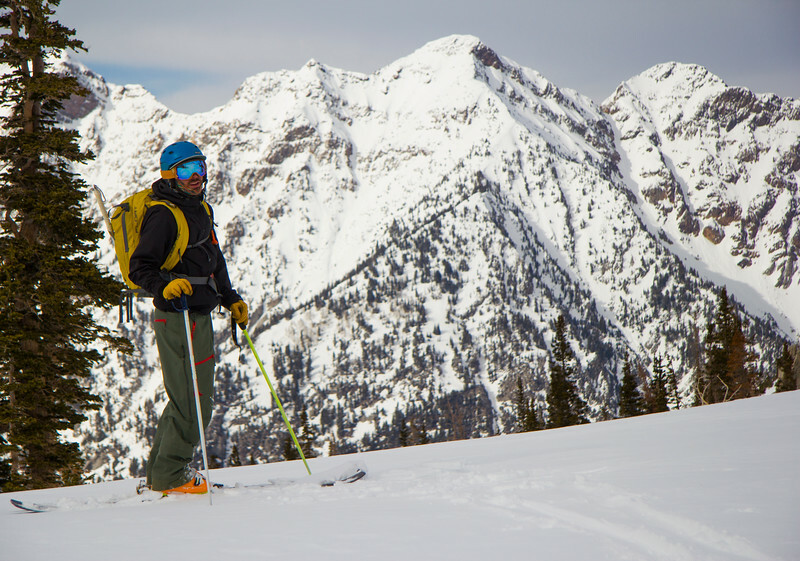 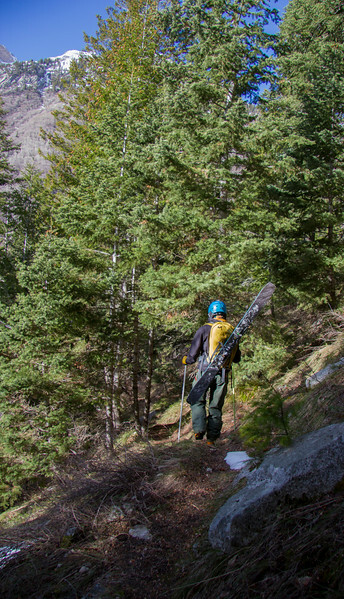 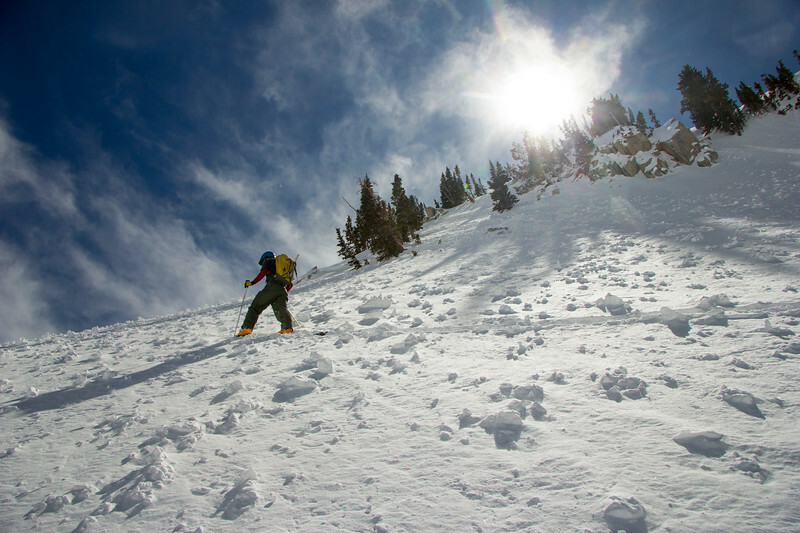 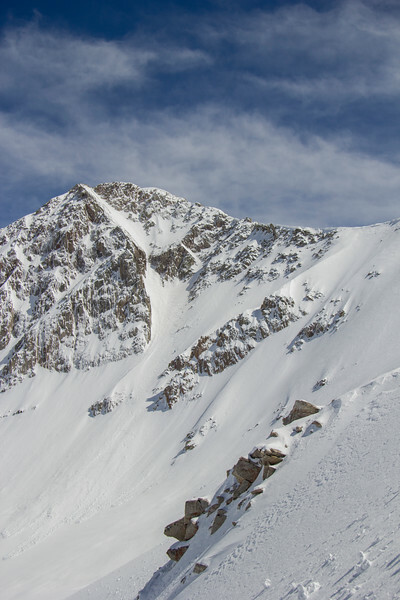 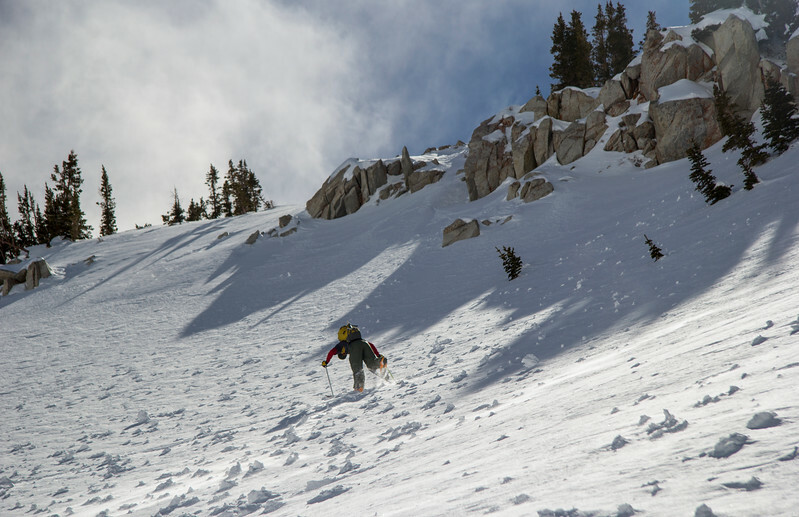 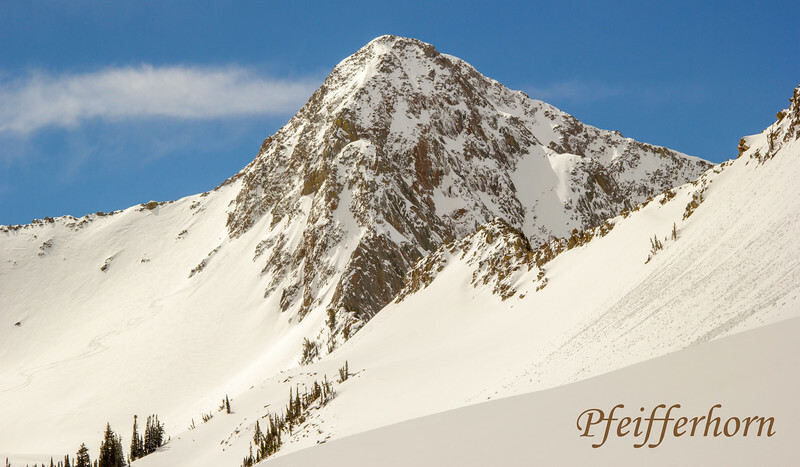 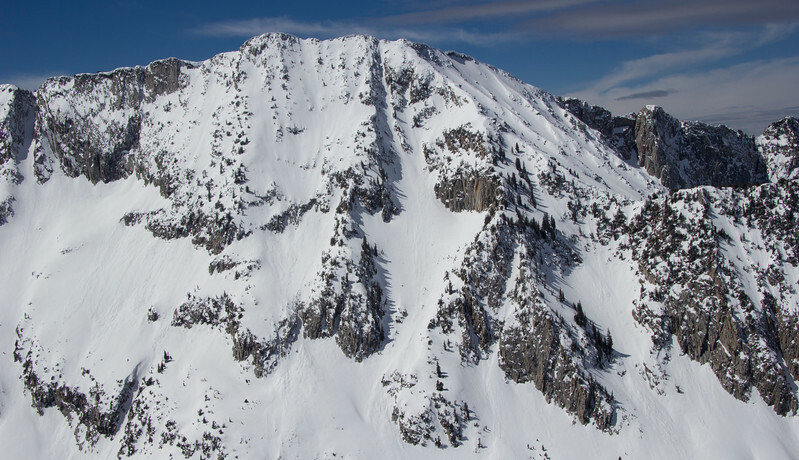 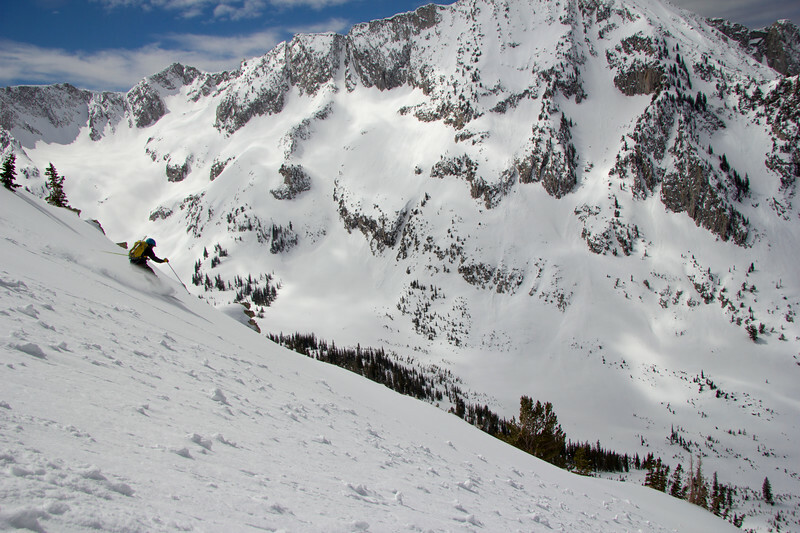 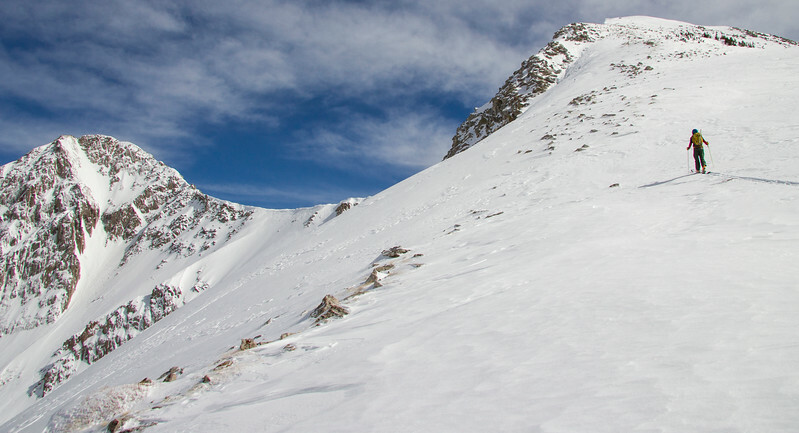 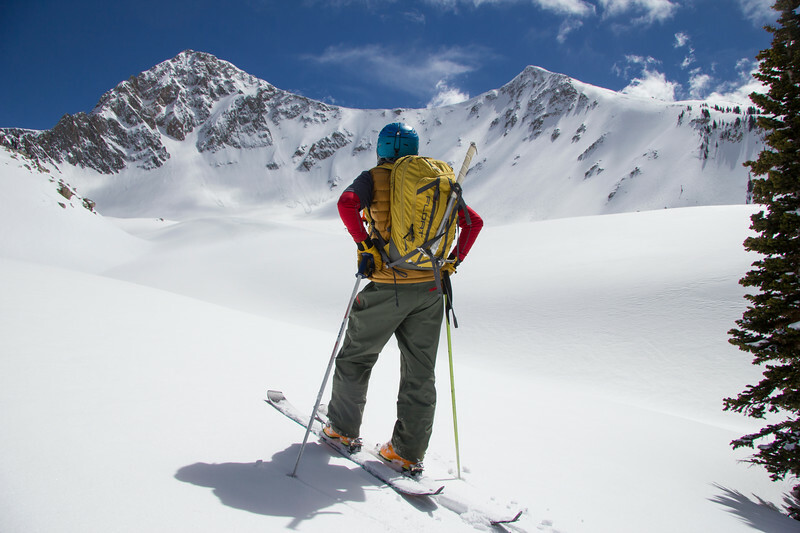 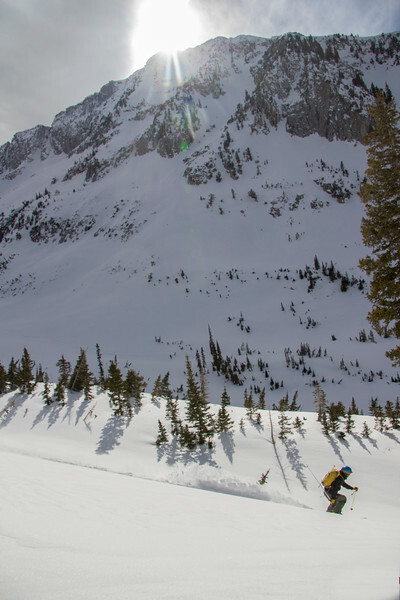 Mountaineering tour in Little cottonwood canyon Hogum Fork to Peak 11,137 & the Pfeifferhorn. 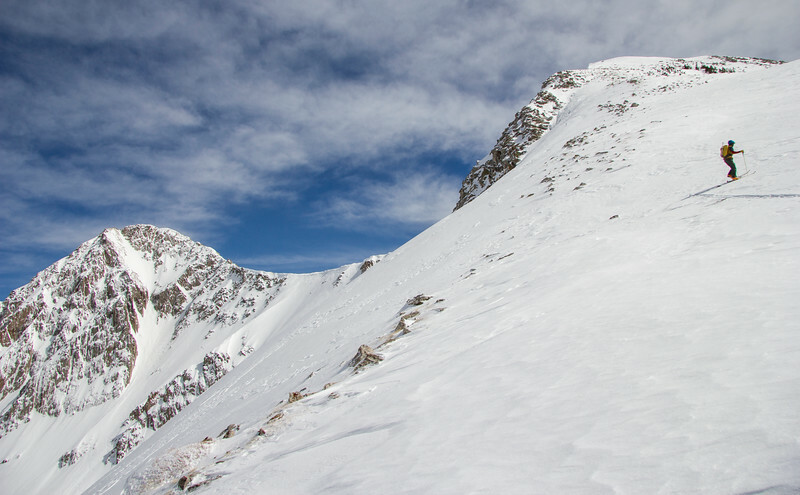 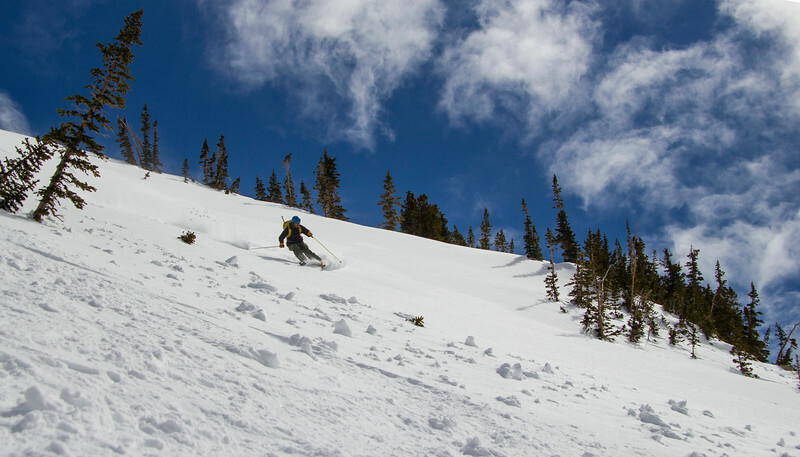 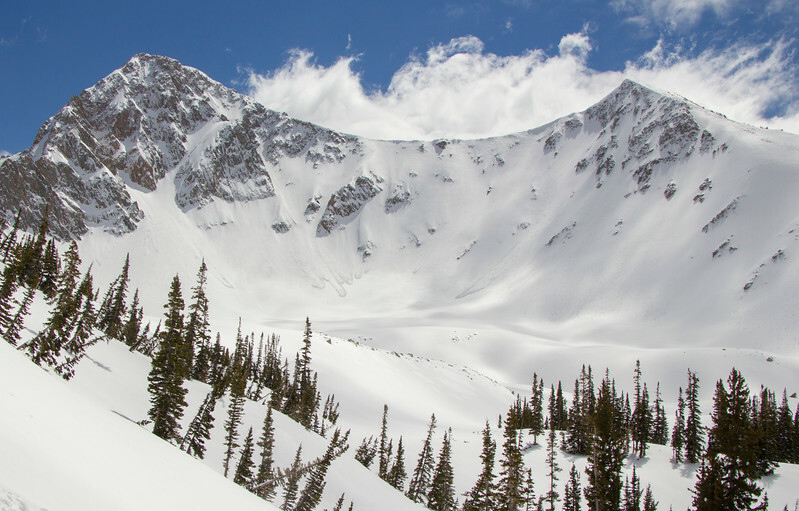 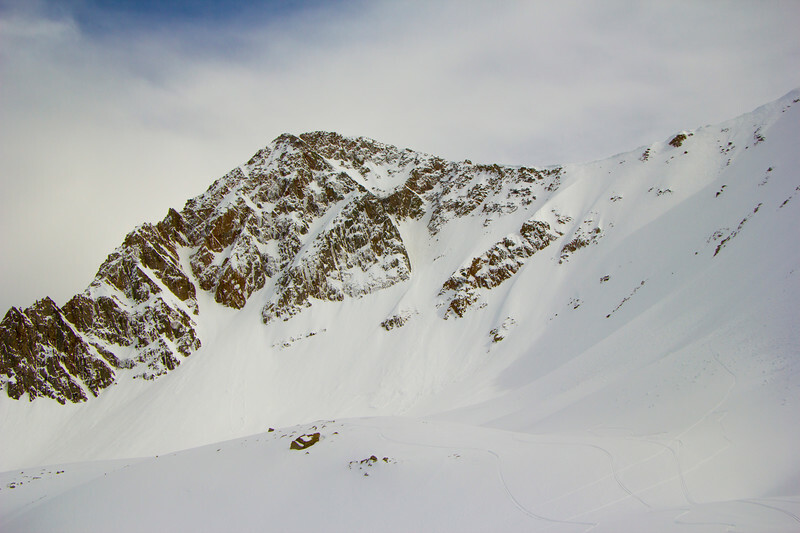 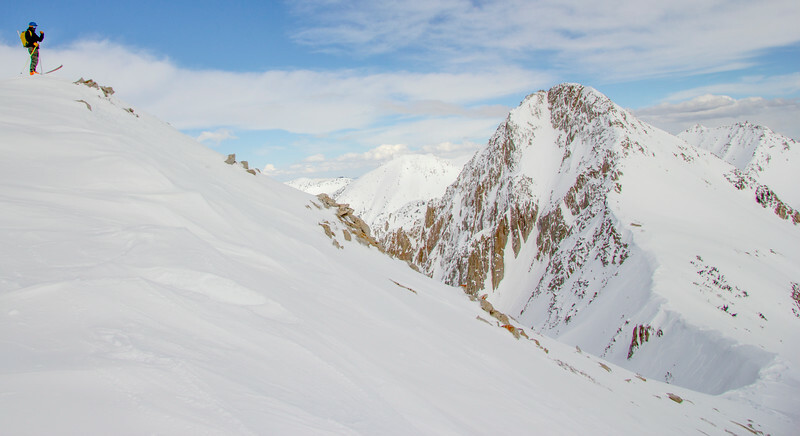 The big white wall of backcountry skiing. 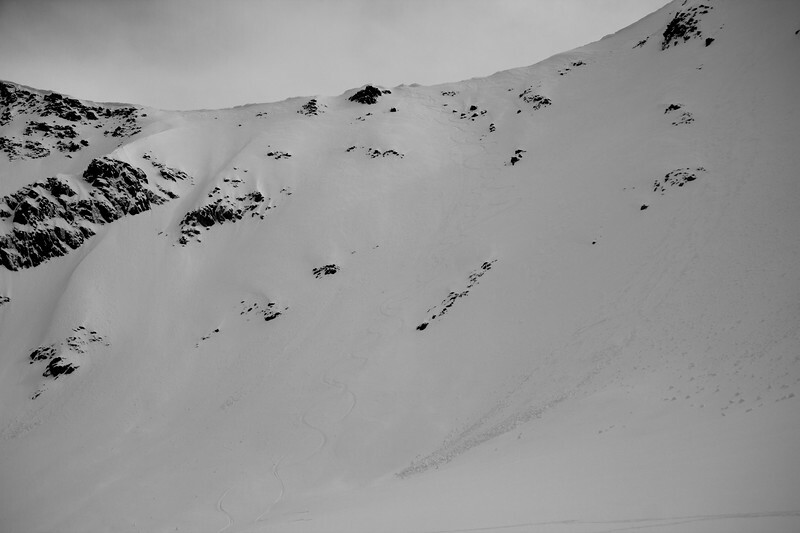 The couloir in the middle photo that goes all the way up to the top. 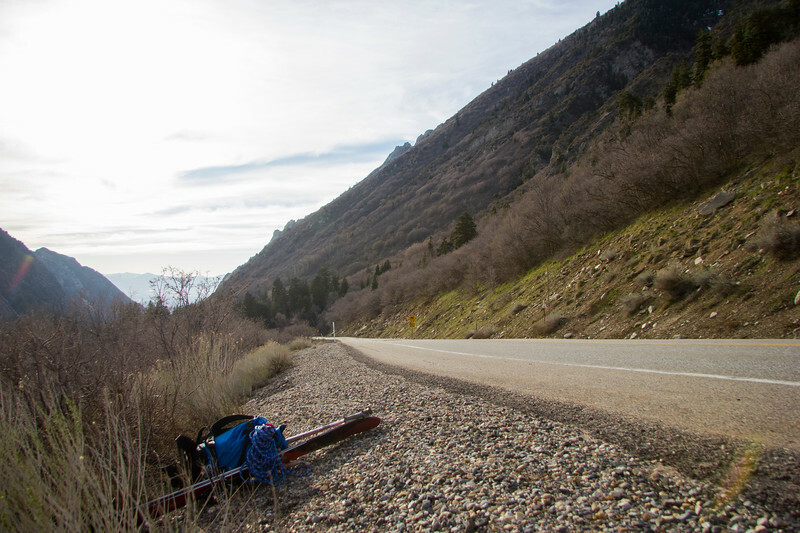 My mountaineering gear rest next to the highway as we wait for a ride. 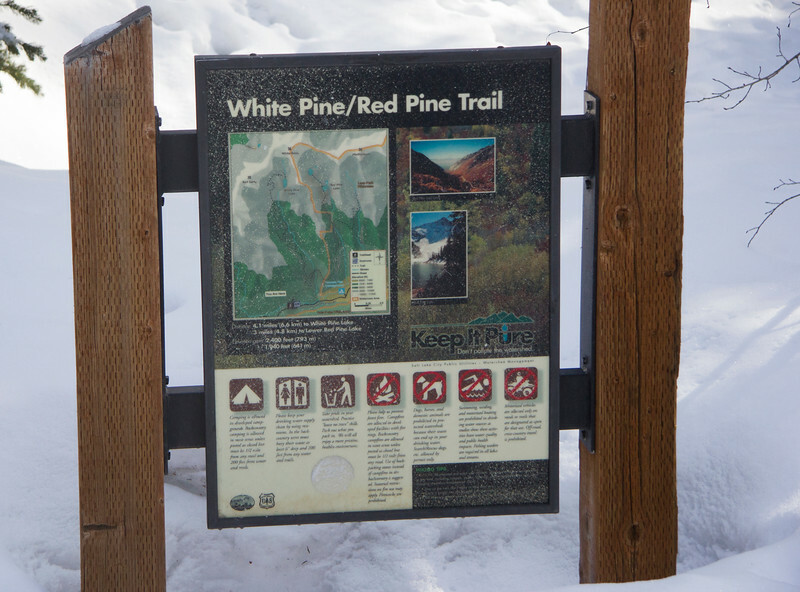 We have to hitch a ride back up the canyon to our car.